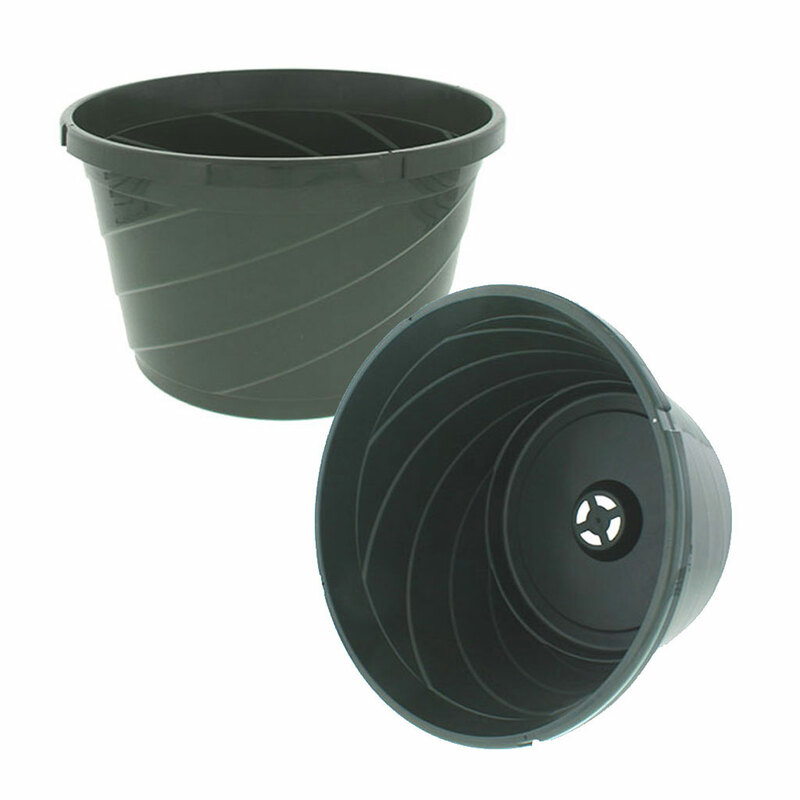 Saucerless Hanging Pots feature a center drain with water reservoir and optimum dual drainage. Plastic and wire hangers are sold separately. 4 Strand Wire work with our 12" hanging baskets or pots. 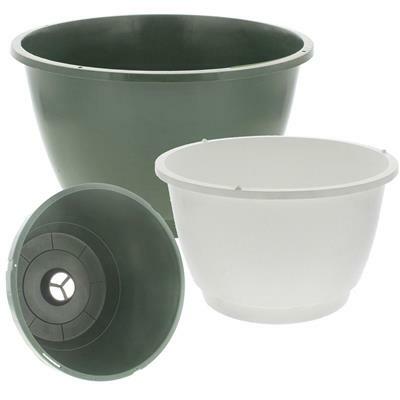 You get what you pay for, not the heaviest plastic I've seen in hanging pots, but the Price Is Right. Like the smaller hanging pots. 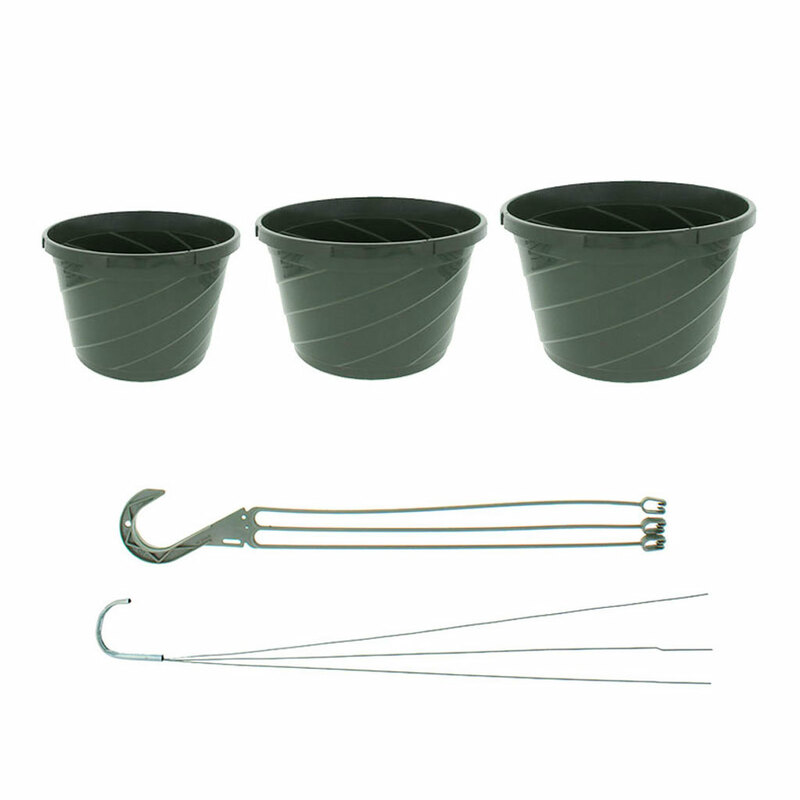 I hang pots from trees, Shepard's hooks and other places and find the smaller size (8.5) are so much easier to handle. 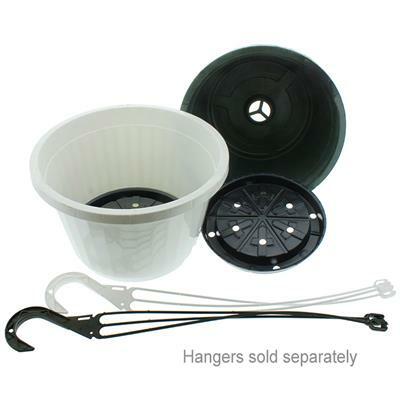 I ordered 20 Of the Hanging Baskets and 20 of the 22 inch wire Hangers. 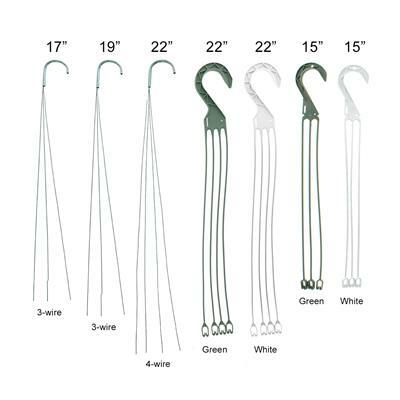 The wire Hangers are strudy and have plenty of length. 3 of the Pots arrived cracked but other than that they are deep and hold a lot of soil.So far I have ben satisfied with this purchase. Price and quality are good. The products that I have order so far were very good so far. Love the flower pots I bought good quality and I like purchasing the hangars separately so I can get what I want. like the design and durability of the pots. 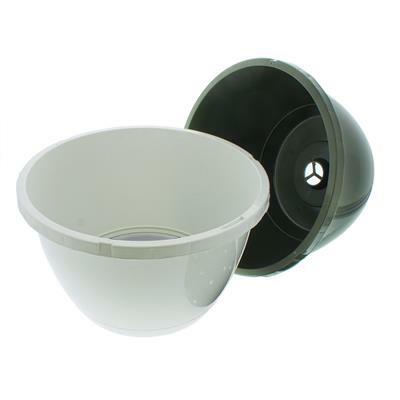 would prefer cream color and detachable saucers that are slightly larger than the pot base. 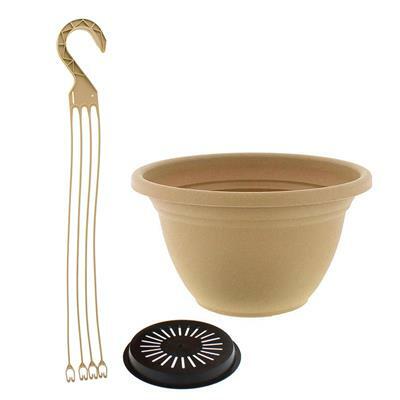 Had hunted for 8 hanging pots for some time - found you online - great little pots, and great service. What more can I say? The plastic gets so thin in the swurl there are small holes. These won't last long especialy in the sun. As advertised and exactly what we needed.